The Human Genome Project (HGP), completed in April 2003, revolutionized the landscape of genetics investing. This international research project mapped the human genome, radically transforming the type of genetic research possible. Today, geneticists work to discover more about the function and purpose of every gene, as well as studying anomalies which may contribute towards genetic disease. Genetics investing helps drive research which may ultimately help to prevent illnesses from arthritis to Alzheimer’s disease. Increasingly effective treatments with minimal side effects are being produced because of new genetic research, rendering this field one of the most important in the healthcare sector. 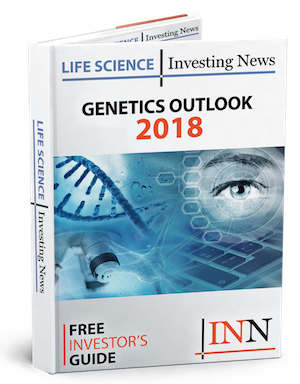 The information that comes out of genetics investing is of utmost importance to major pharmaceutical companies, like Merck (NYSE:MRK), Roche Holding (OTCMKTS:RHHBY) and Pfizer (NYSE:PFE). These companies use genetics research to progress their development of new drugs. This relationship between genetics investing and pharmaceuticals has becoming particularly vital in recent years, due to the turn towards personalized medicine. The U.S. Food and Drug Administration understands personalized medicine as the correct treatment for the right patient at the best time. Or, more specifically, tailored medical care based on a patient’s genetic makeup, lifestyle, and preferences. Research in the field of genetics can contribute towards the development of these personalized medicines, which have the power to transform the healthcare industry. PricewaterhouseCoopers terms personalized medicine a “disruptive innovation” for this reason. Emerging from the completion of the HGP, progress in genomics and proteomics research, and the development of “targeted” therapeutics, personalized medicines should ultimately improve health outcomes by providing individuals with a more streamlined, targeted healthcare plan. The market for these healthcare solutions is growing. PricewaterhouseCoopers estimated that the market will reach $450 billion by 2015, with $42 billion in the core diagnostic and therapeutic segment of the market (composed mostly of medical device, pharmaceutical, and diagnostics companies). Therefore, interest in personalized medicine is driving genetics investing. This, in turn, is revolutionizing the way we think about disease, healthcare, and the most effective paths of treatment. One excellent example of how genetics investing works is illustrated by The Cancer Genome Atlas (TCGA). Initiated in 2005, this project uses bioinformatics and large-scale genome sequencing to create a comprehensive catalog of genetic mutations responsible for cancer. The project’s ultimate goal is to improve our ability to prevent, diagnose and treat cancer through a deeper understanding of the disease’s molecular basis. Investors in this project include the National Cancer Institute, which has felt direct benefit from the research produced by TCGA. For example, the genome atlas revealed that, despite looking identical under a microscope, there are actually four different genetic types of stomach cancer. This knowledge has allowed for the development of effective personalized therapies to treat these four diseases, and gestures towards the broader progress which can be achieved through investment in such research initiatives. Genetics investing has important widespread effects, which can financially benefit investors while helping to save lives.